This is a special trail, with a special price only for September 2019! All week you will overnight in a charming guesthouse from Măgura village - a famous, but still remote area. Is a special offer for 8 person groups in September and includes 5 different days in 4 different mountains areas: Postăvaru, Bucegi, Baiului, Piatra Craiului surrounding. Arrival in Bucharest. Private transfer (around 3h) from airport to Măgura (located in Bran country, Transilvania) a beautiful mountain village. Private transfer by bus in Azuga. By cable car will reach Baiului main ridge. We'll cross it for 3 hours till in the highest point - Baiului Mare peak 1800m. The landscape is impressive, because we have on the left side Bucegi mountains with his stone walls and special light. We'll descend first on a west narrow ridge, we can visit a sheepfold, and after that we'll follow the sheperd's path to Sinaia. Transfer back in Măgura. Transfer to Sinaia. Cable car to Cota 2000. Today we can traverse a part from Bucegi plateau. The view is beautiful, we can admire all the Prahova valley down with it's villages. We can choose the descending on one of the Bucegi east valleys till in the Peleș Castle garden. Is reccomended to visit Peleș Castle which starting with 1873 becames the summer royal residence. Transfer back to Măgura. A longer day with technical parts. Transfer to Moieciu de Sus where we`ll start our hike up on the west side of Bucegi, which is completely different. We'll reach Strunga saddle in 3 hours and after that, we'll continue on the old guardian's road till in the next saddle. The descending back to Moieciu de Sus is a gentle one, through blueberries bushes and forests. Visit Bran castle, better known as Dracula's castle but no connection with him. Transfer in Măgura. Today we'll start the tour in front of our guesthouse. We'll go down in Zărnești canyon and we'll follow a steep path up to Curmătura chalet. Time for picnic-lunch with apple pie. From here we'll try to reach the Piatra Craiului Mică highest peak of 1800m, on a steep and technical trail-equipped with cables. The view around is stunning when you are on the top. The descending trail is also demanding; when you’ll arrive in Zănoaga meadow and you’ll meet the sheperds with their flocks you’ll want to stay there till the sunset is coming. One more hour and we’ll be back on our guesthouse. Transfer to Poiana Brașov-the most famous ski-resort from the country, by cable car up to Postăvaru peak 1800m. From here we`ll go down to Postăvaru Chalet for picnic lunch. The descending to the center of Brașov city is on a forest ridge. Brașov is one of the most important and beautiful cities from Romania, short city tour and transfer back to Măgura. Transfer from Măgura to Bucharest airport. The transfer takes around 3 hours. 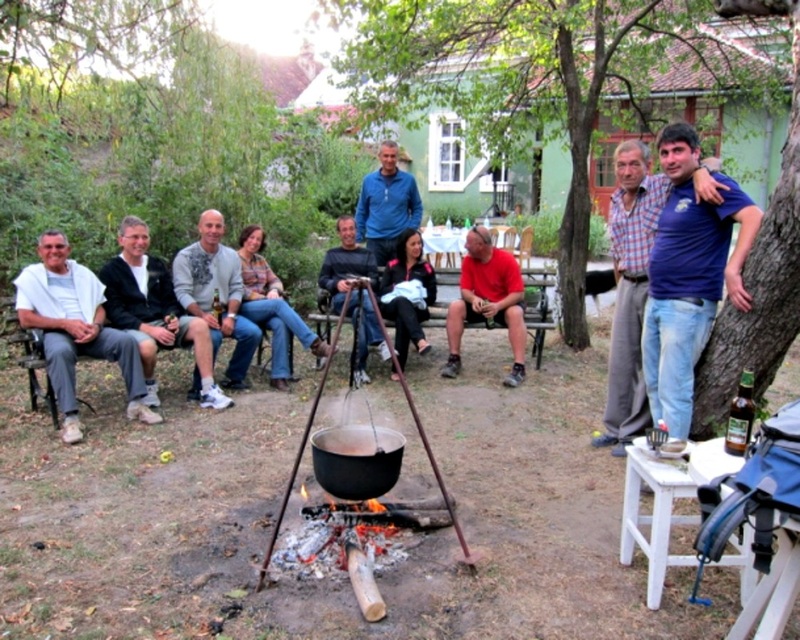 Special price for September 2019 for an 8 person group: 625 euro/person and includes: 6 days half-board accommodation and picnic lunch in Măgura village, 5 days trekking guided tour, private transfer from airport and back, private transfer each day to the starting point of our trails and back to our guesthouse, souvenir. For children you'll receive discount!